There's more than one way to blog it. 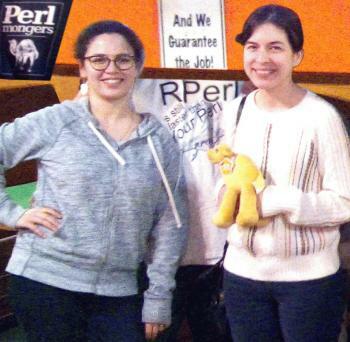 These are some answers to the Week 4 of the Perl Weekly Challenge organized by Mohammad S. Anwar. This post will be relatively short, because I don't have too much time this week. Unfortunately I did not find a proper module to use Arango from Perl. Therefore I decided to start one from scratch. Probably not a great idea as my free time is likely non-existent. But nevertheless, I did it. Today is a very special day for me, why? I have now completed 600th day daily upload to CPAN. So what is the big deal? Honestly speaking it is not. Having said that I enjoyed playing this CPAN Game and would like to continue as long as possible. Where did it all started? Well it was one of the blog by Neil Bowers that inspired me and introduced to the fun game. At that I point, I only had handful of modules to work with. I knew I needed lots of distributions to get me going. Nearly a year later, Barbie blog about his completion of one year of daily CPAN upload. A new article about Dibs (Docker image build system): Dibs - Remote Packs - hope you will enjoy! We now can parcel up and pass tests from our chosen subset under a real Chrome (for testing purposes a Headless Chrome controlled by puppeteer ). It runs tests using a precompiled working version of rakudo.js fetch from npm using a roast revision we know passes. how they are tested on other backends. As a result a whole bunch of tests fail under precompilation even on the Moar backend. tends to live in precompiled modules not scripts) but that's work separate from the js backend. Tests that don't make sense in the browser itself. There is a new blog post at my Ocean of Awareness blog: "Sherlock Holmes and the Case of the Missing Parsing Solution" .